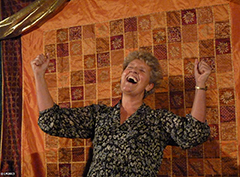 Sue Hollingsworth has been performing and teaching storytelling for over 20 years. She is an acclaimed, internationally recognised workshop leader as well as regularly performing programmes of both traditional and biographical stories to adults. She is Director of the Centre for Biographical Storytelling , a Founding Member of the Centre for Narrative Leadership, a Founder of the International School of Storytelling, Patron of the Amari Storytelling Project in Crete and a Consultant to Seiba Storytelling in Istanbul. She is co-author of the best-selling book The Storyteller’s Way: Sourcebook for Inspired Storytelling (2012)and is currently completing another book on telling true life stories. 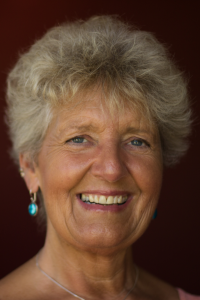 Although Sue still performs, coaches and offers public courses, she now also supports emerging and developing storytelling organisations and communities as a Mentor, Consultant and Patron.